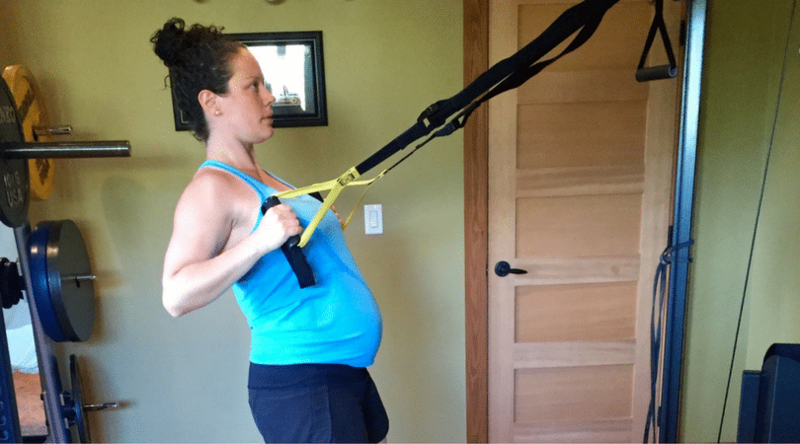 Before I had experienced the postpartum period for myself, I had a lot of ideas about what exercise after birth must be like. 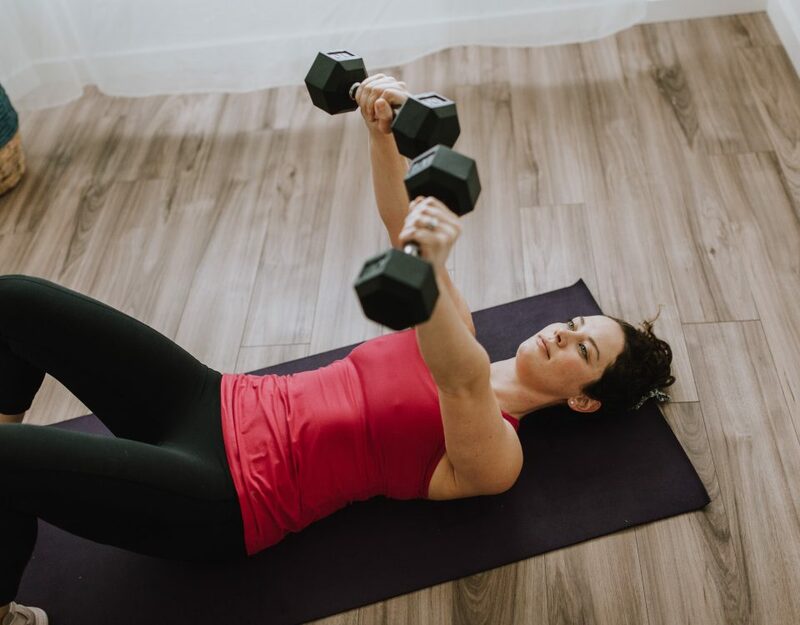 I knew that there would be changes to my client’s pelvic floors, that some of them would be breastfeeding, that fatigue would likely be an issue, and that exercise could be a really great tool to add stress reduction and strength back into their lives. Then I actually lived through the postpartum period myself. Ha, WOAH. Such a rollercoaster of every emotion possible. Joy, pain, love and sorrow were tangible daily during my first 6 months of being a mom. It’s important to remember that the postpartum period is not only the first 6 weeks after birth. I consider the postpartum period to include a few different stages. This will vary based on the type of birth, baby and home life that a mom is living with. If we view postpartum as having stages, we are much more likely to make smart exercise decisions that reflect where we (and our clients) are currently. 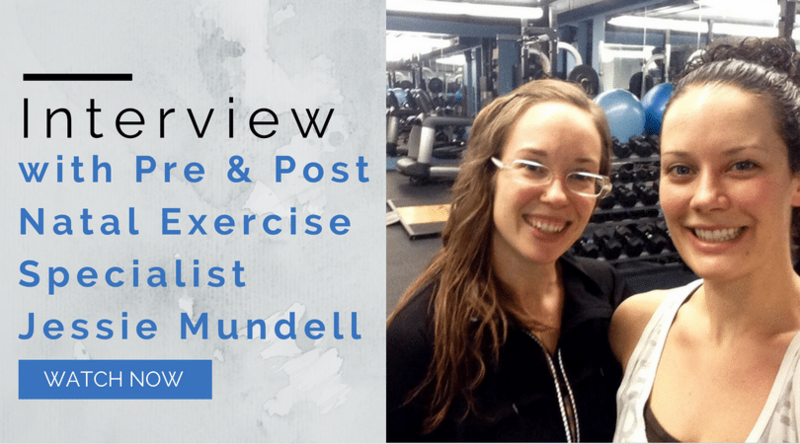 My postpartum experience changed the way I would coach exercise to women in a big way. Of course it changed the questions I ask and the exercises I prescribe for women who have birthed babies, but it also changed the way I coach all women. 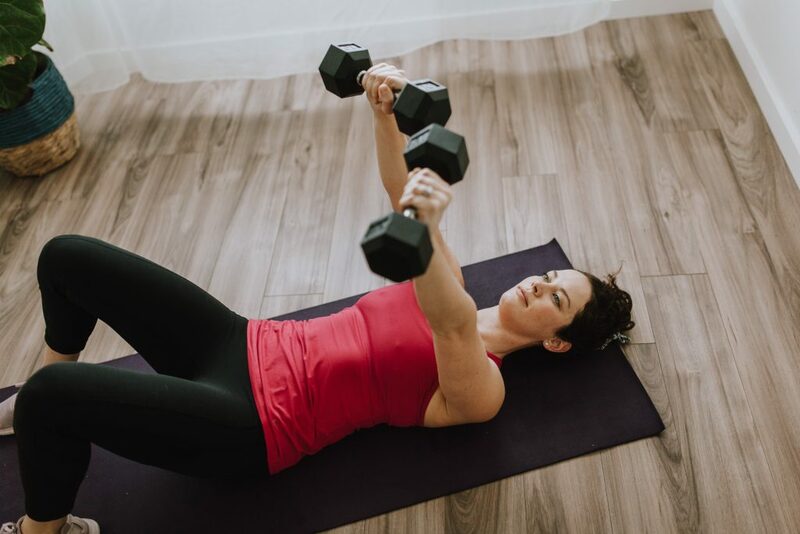 Issues like core engagement, alignment, breathing, stress reduction, overall lifestyle factors and mental health are so much more paramount to the entire exercise equation than we realize. So here are the 5 major shifts that I made to my coaching style after experiencing birth and the postpartum period. I look at the ‘whole stress load’ of someone’s life. Because exercise is a stress on our body, it is important to see it as a piece of the overall stress load puzzle. 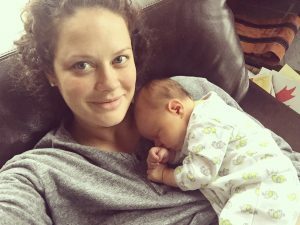 The postpartum period can be stressful for many reasons. There is physical recovery, oftentimes emotional and mental recovery, learning how to care for the high needs of a newborn, breastfeeding considerations, significant sleep interruptions and a huge change to our daily lifestyle. The early, early days with Sloane. These normal postpartum stresses impact our hormones, mental health, physical health and ability to recover significantly. Our bodies will not respond to stress effectively if the load is too great, and exercise can add to that load. Looking at the entire stress load of our lives is important because it helps us to determine if exercise will just be another added stress, or if it will be a tool for good mental health and physical recovery support. Due to the demands of the early postpartum period, walking, gentle dynamic stretches and smart core exercises (clamshells, glute bridges, supported dead bugs) are often enough stress load on our bodies. The entire stress load is an important consideration because there are stresses to consider during the peak, middle and extended postpartum periods too. Are we getting 8 hours of sleep? Maybe. Is it interrupted? (probably!) Intense exercise is only a positive addition to our lives if we are able to recover well. I see rest as just as valuable as exercise. Our body’s ability to build muscle, burn fat, have balanced hormones and function well is directly related to our ability to rest and restore. This means that exercise will only be effective at increasing strength and bringing positive hormonal impacts to the body if we are able to recover from it. This was a tough lesson for me to learn. I tried to add more intense exercise back into my routine around 4 months postpartum (which was the peak of our sleepless nights and days) because I was craving it mentally. But it took me days to recover and I felt physically beat up after my workouts, even more exhausted and unable to complete my daily tasks of part time work, cooking and caring for a baby. It was a great reminder for me that when good quality rest isn’t happening in our lives, intense exercise is not helpful or healthy. I do not assume that all moms want to lose weight or change their body composition. 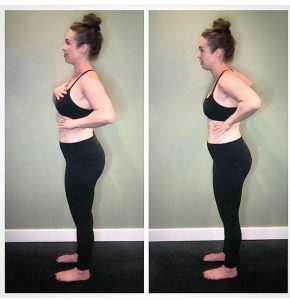 Weight loss and changing my body composition were not top of mind for me at all during the early and peak postpartum period. There were simply too many other things on my plate for me to give my mental energy to this as a goal. I know that as a trainer, my words and guidance have a significant effect on those who follow my work. My postpartum experience taught me that weight loss does not need to be the prime focus during this time in our lives. Self-care, rest, eating healthy, simple and tasty food, doing things that support good mental health like time with friends, time in nature and reading were far more important to my overall health than spending extra effort on eliminating extra calories or adding intense exercise to my week. Because of this experience, when I talk to my clients I am significantly more aware of the impact of my words. Rather than saying ‘do x, y and z to decrease body fat’ I’ll say ‘do x, y and z if body composition change is your goal’ so that I can honour the different stages we’re at. I also practiced showing up exactly as I was in my photos postpartum. This was a vulnerable one for me. Swollen, with a very different body shape than I had previously, exercising significantly less and wondering if I would be judged as a trainer for how I looked. But I knew that if I wanted the culture to change around how we view and talk about women’s postpartum bodies then I had to show up exactly as I was, and change my own words. Body composition change can be a great goal if it is happening at a time in our lives that we can devote the required time and energy in a healthy, balanced manner. I do not think that the postpartum period is a time where weight loss should be the number one focus for women. There are simply too many other important areas of focus including mental health, basic self care and daily restorative movement for fat loss to steal the stage. I stopped talking about posture and started talking about alignment. Nothing changed my awareness of my daily body positions more than the postpartum period. Carrying a baby, bouncing a baby, rocking a baby and feeding a baby all day long were harder on my shoulders, back, and neck than I thought they would be. I stopped trying to keep the traditional ‘good posture’ of shoulders back, stand up tall. Instead, I listened to the words of pelvic floor physiotherapists who touted the importance of keeping my ribs stacked over my hip bones (way hard than it sounds) and untucking my tailbone (I only had to remind myself 4,563 times a day). I practiced these while breastfeeding, while pushing the stroller, while cooking, and while coaching my clients in our online technique video chats. Jessie Mundell demonstrating a ‘thrusty’ ribs flared position on the left, and a more optimal stacked ribs over hips position on the right. 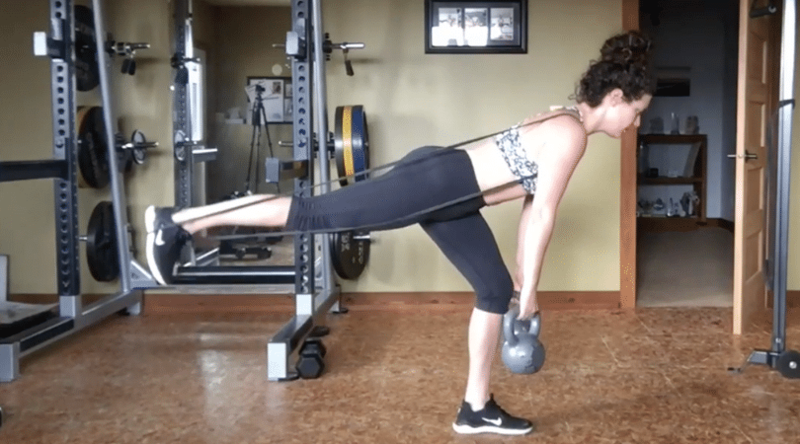 I learned that this improved alignment would help me restore good pelvic floor and core function (yes this matters even if you’ve had a c-section). I already knew that having a functional core and pelvic floor would decrease injury and pain for my clients, so alignment cues became much more common in my coaching. Less ‘stand up tall’ more ‘untuck your tailbone’ and ‘stack your ribs over your hips’. I give more specific core engagement cues. Rather than simply saying ‘engage your core’ which was a very common cue for me to give in the past, I learned more specific language. I now talk about the ‘sling’ of the pelvic floor muscles, the importance of our ability to both relax and contract this group, and the importance of lifting the belly button up towards the sternum (rather than to the spine). Inhale to relax the pelvic floor muscles, then Exhale. Engage the pelvic floor in a gentle (vs. maximal) kegel style movement. Exert force via squat, deadlift, press or lifting a baby off the floor. I’m thankful for my postpartum experience that often felt like a tidal wave of emotions, challenges and fatigue because it helped me relate so much more to my clients. It caused me to grow as a person and a coach, but it was very evident that I needed more tools to help my postnatal clients. 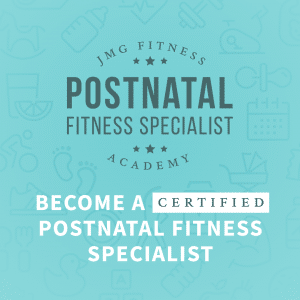 For this reason, I am thrilled to announce my colleague and friend, Jessie Mundell’s Postnatal Fitness Specialist Certification opens for registration on October 16th. This course is for trainers, physiotherapists, pilates instructors, yoga instructors, doulas, midwives and moms who want to know how to coach safe and effective exercise in the postpartum period.